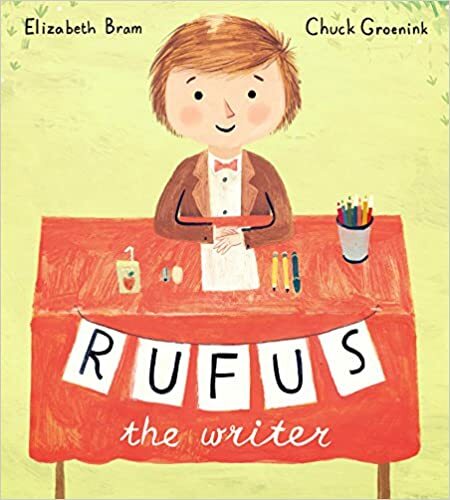 Rufus the Writer by Elizabeth Bram, illustrated by Chuck Grosnink. Published by Schwartz and Wade. Instead of a lemonade stand, Rufus sets up a story stand, and writes custom-made stories for all of his friends. The writing process is fun, but the best part is sharing his gifts at the end of the day. 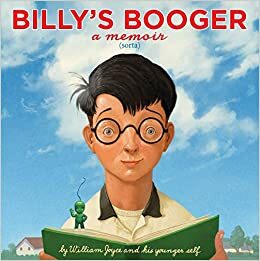 Billy’s Booger: A memoir (sorta) by William Joyce and his younger self. Published by Atheneum Books for Young Readers. Okay, I acknowledge the title might be off-putting if you’re over the age of nine, but this is actually a good story about young William Joyce’s first writing attempt. His story didn’t win the library writing contest, but it was the book all the other kids wanted to read. And that felt almost as good as winning. 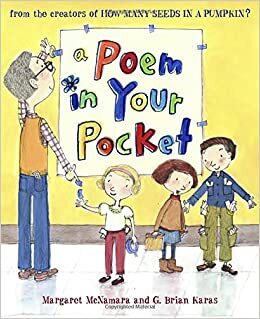 A Poem in Your Pocket by Margaret McNamara, illustrated by G. Brian Karas. Published by Schwartz and Wade. While the other kids are having fun experimenting with poetic forms, Elinor is stressing about writing the perfect poem. When a poet comes to school, only Elinor has nothing to share. The poet gets her on stage, and together they write a poem that shows Elinor there’s no such thing as perfection in writing. 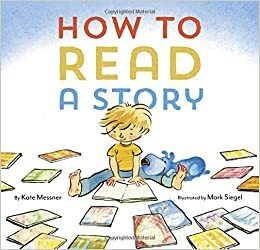 How to Read a Story by Kate Messner, illustrated by Mark Siegel. Published by Chronicle Books. These ten steps for how to read a story will make you want to grab a book and a friend and try them right out.